The high sipe density included in the design of the g-Force Winter tyre, means it is very reliable and starts easily on snow and ice thanks to its excellent grip. Wide sipes make up the specialist footprint, this helps to disperse snow therefore giving maximum grip ability. 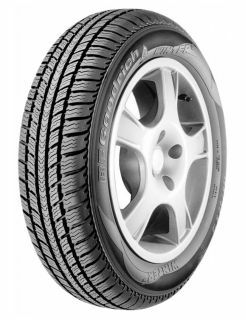 Optimum control is achieved thanks to its directional tread pattern and continuous central rib. Hundreds of "teeth" in the middle of the tread pattern enhance road holding in all winter conditions. The rubber ratio in the compound enhances the performance of the tyre, allowing it to stay flexible at low temperatures. Reliable braking is guaranteed on all tyres of winter terrain and surface, thanks to a larger footprint and the to the sipe and edge density of this tyre.